I try to cook vegetarian every other night. I don’t really remember why I started. I know in part, it was to try to get more legumes into our diet since they are so beneficial. I remember my German grandmother, who was fit as a fiddle until cancer snuck up on her, always saying that you didn’t need to eat meat every night. Her idea of a vegetarian dinner was a raw, green bell pepper which she’d sit down and eat like an apple. She was obsessed with gardening and eating vegetables. Her life, the last fifteen years, revolved around a huge plant nursery in Central Florida where she was employed. I remember going to spend the day with her at work and being amazed that she would carry 50lb. bags of potting soil and fertilizer over her shoulder. I never saw her drink water, she drank coffee all day long, even in the Florida heat. I am still amazed that anything could bring that woman down. When I make veg. dinners, I make sure to include two complex carbohydrates so that we will get a complete protein as our meat substitute. Our boys have meat for lunch those days, but my husband and I don’t. We feel great after a vegetarian meal, but the next night we sure do appreciate the meat on our plates. But Oma was right, you really don’t need to eat meat every night. This is a vegetable side dish that I made for veg. night this week. 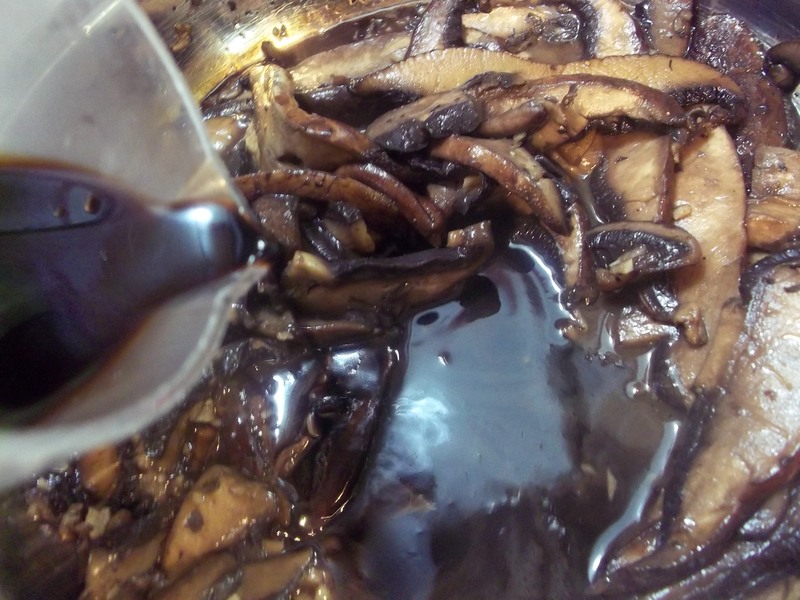 When we have portobello mushrooms, we feel like we are eating lean beef. So savory! The ricotta salata I made from fresh goat’s milk. 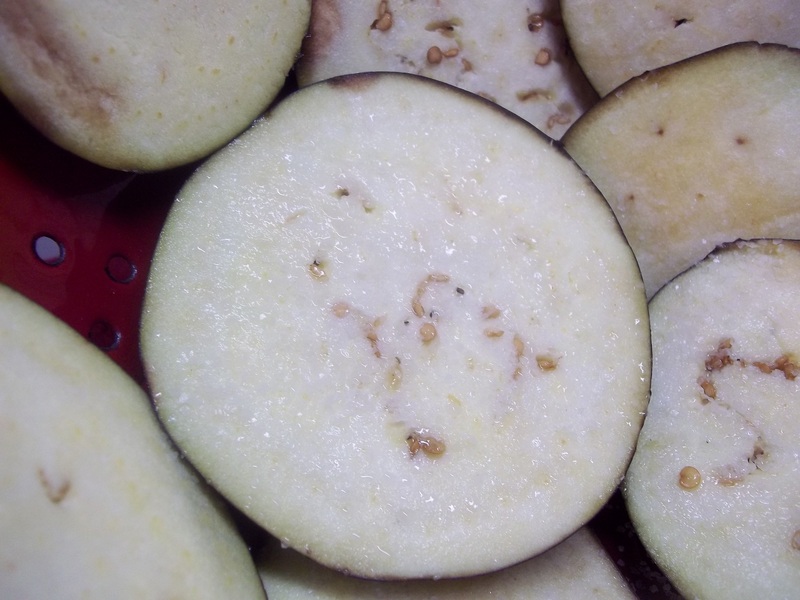 Arrange the eggplant slices on the inside of a colander. Sprinkle with salt to help sweat out the bitterness. 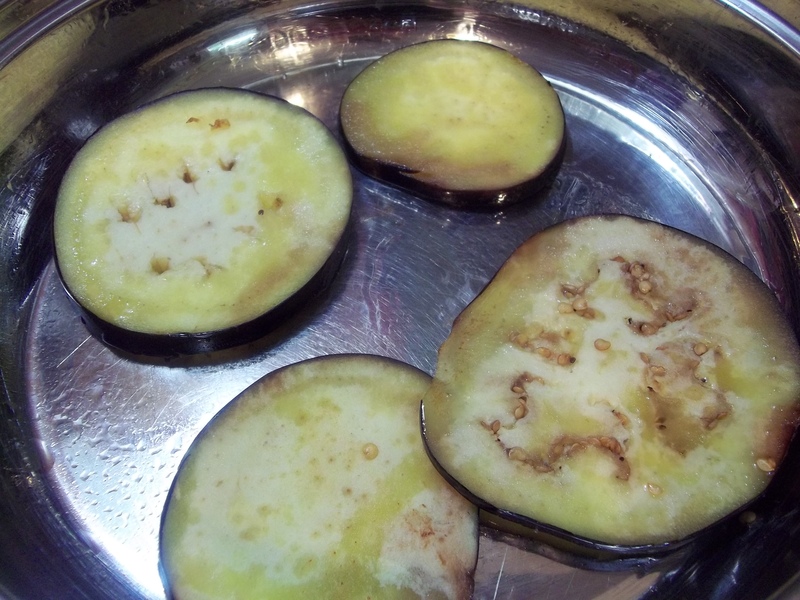 Set the colander in the sink or over a bowl or towel to collect the moisture that will run out of the eggplant. Heat a few tablespoons of oil in the bottom of a large saute pan. 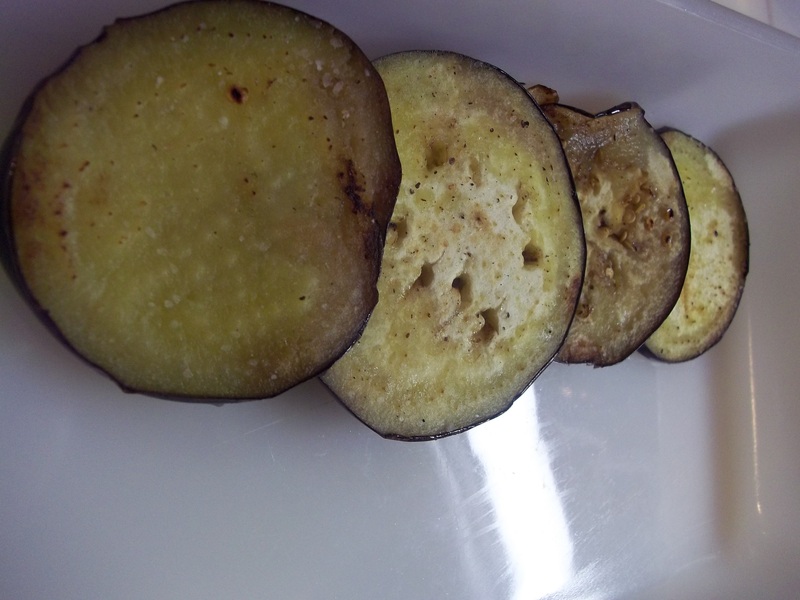 Sear the eggplant slices in the oil by cooking them for a few minutes on each side. Season with salt and pepper as they cook and add more oil as needed. Lay finished slices on a platter or in the bottom of a casserole dish. 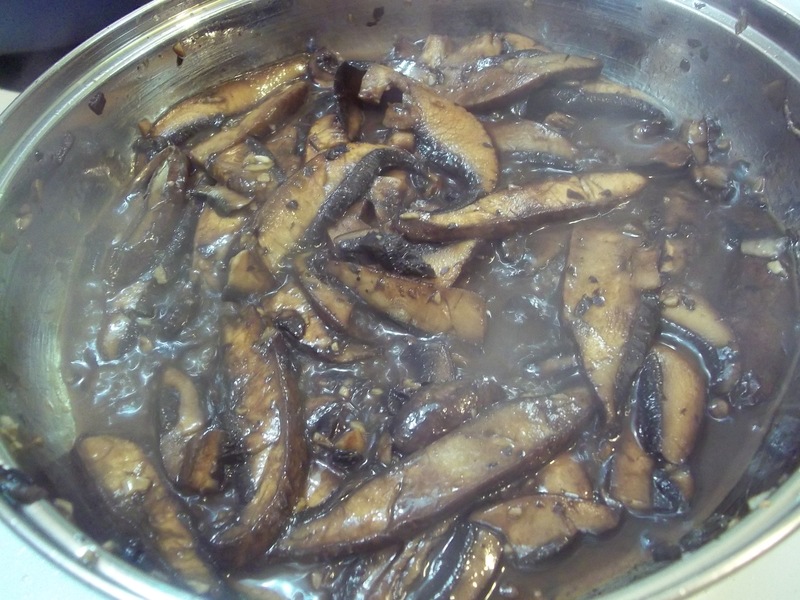 Continue until all the eggplant slices are cooked. Add butter and 3 more T of oil to the pan and keep heat to medium/high. Add garlic and saute to sweat. 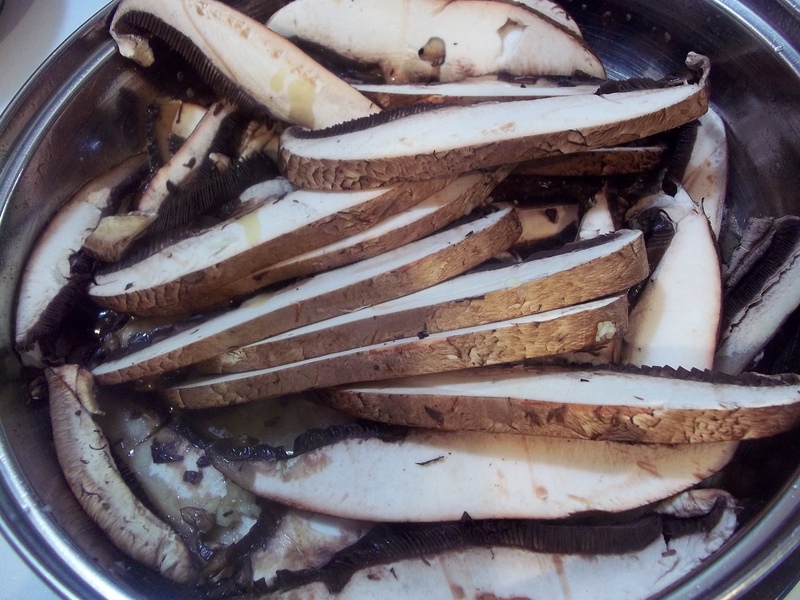 Saute mushroom slices in the garlic oil until tender and browned. Deglaze the pan with the vinegar and allow it to reduce and thicken. 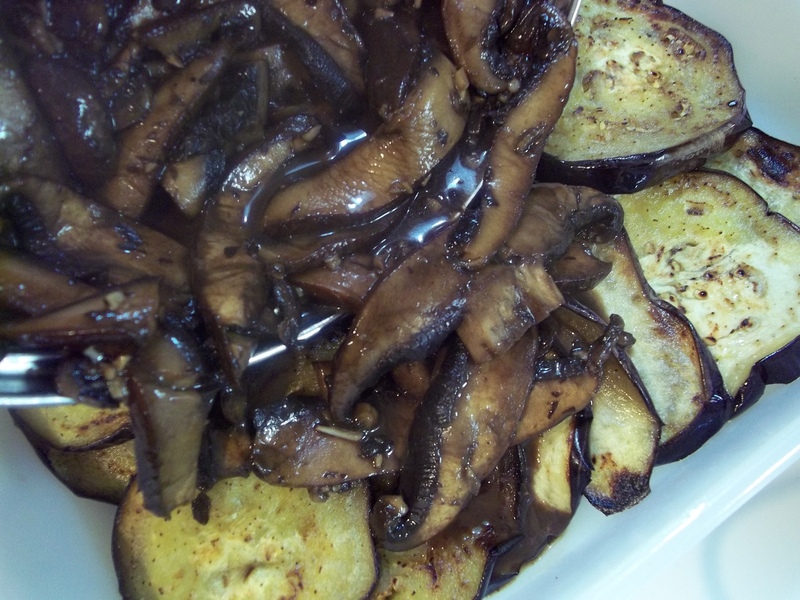 Pour mushrooms and balsamic glaze over the eggplant. 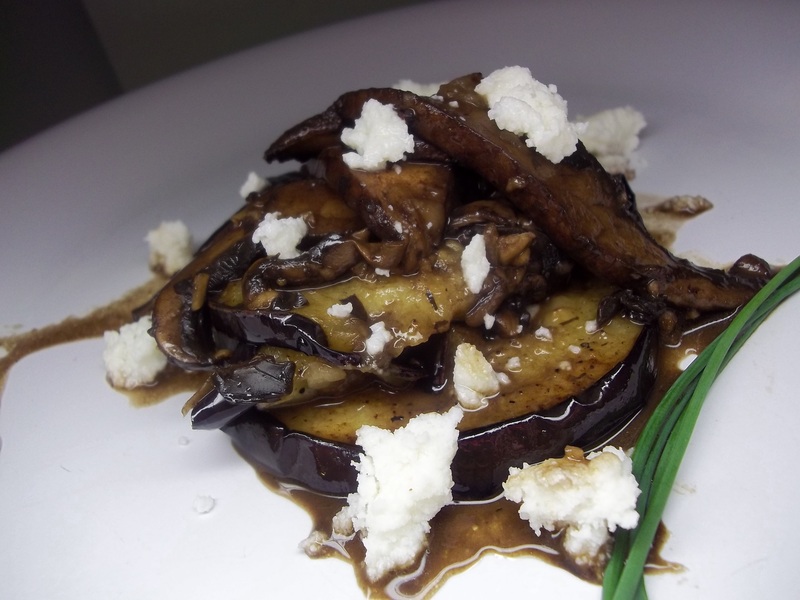 Serve with crumbles of ricotta salata.